After reviewing more than 50 candidates for its chief administrative officer posting, Loyalist Township council decided they liked the person currently sitting in that chair the most. On Monday, council unanimously passed a bylaw that effectively removed Steven Silver’s interim tag, leaving him the responsibility to manage 105 full-time and 80 part-time staff and a budget of over $21 million. Mayor Ric Bresee said he was pleased to see Silver seek the job. Bresee, who has worked with all four chief administrative officers since amalgamation — Diane Pearce, Alida Moffat, Robert Maddocks, and Silver — likes the approach the latter offers. Silver has previous experience as chief administrative officer for Frontenac, Lanark and Leeds and Grenville counties, Gananoque and Bancroft. 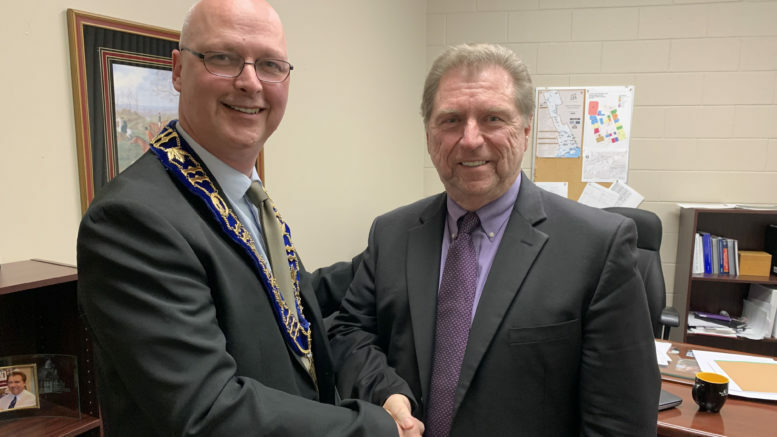 In 2011, he was a winner of the Associaton of Muncipal Clerks and Treasuers of Ontario’s Prestige Award for his contributions to the organization and the improvement of municipal management and leadership. The Kingston resident says he still loves the work. “I enjoy challenged and I enjoyed making a contribution to each one of those communities in whatever way I could to keep them marching forward,” he said. His experience with Loyalist Township, dating back to July 2018, allowed him to welcome the possibility of making a longer term commitment. Silver is looking forward to working with council as it sets the agenda for this four-year term. He said councillors and staff will soon be working on their strategic planning and a review of the official plan. A complete review of staff and services is also scheduled. Economic development in the face of continued growth is also an important consideration, Silver said, as is the potential relocation of municipal administration into a hub facility at the W.J. Henderson Recreation Centre. In addition to internal roles, Silver also has to contend with the likelihood of further change from the provincial and federal levels of government impacting on operations. Still, he’s pleased to have made an impression. Bresee said there were several well qualified applicants in the pool for chief administrative officer and that made for some long hours for a selection committee formed in January, but he’s confident it made the right hire.